Diplomatic Correspondent: Riva Ganguly Das has been appointed as the next High Commissioner of India to Bangladesh. 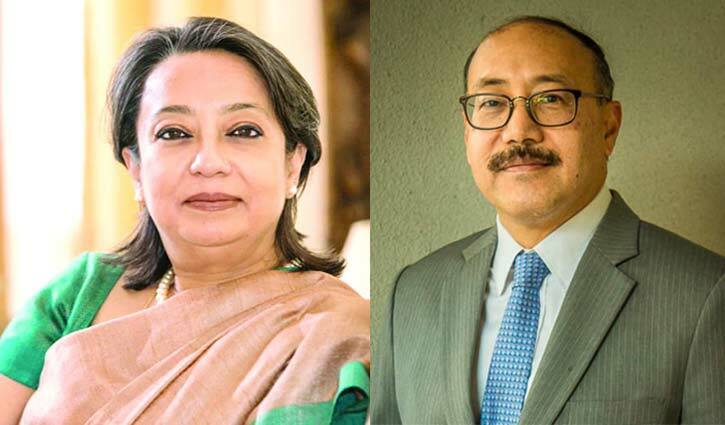 She will replace outgoing Indian High Commissioner to Bangladesh Harsh Vardhan Shringla. Riva Ganguly is expected to take up the assignment shortly, said a press release of Indian Ministry of External Affairs issued on Thursday. She is presently Director General of Indian Council for Cultural Relations (ICCR). Outgoing Indian High Commissioner to Bangladesh Harsh Vardhan Shringla has been appointed as the next Ambassador of India to the United States of America, replacing Navtej Sarna. He is expected to take up the assignment shortly, according to a separate press release.